Hi everyone! I am a graduate of Purdue University with a BS degree in Biology with a minor in Chemistry. I am an experienced science and math teacher whose knowledge includes advanced disciplines of math and science. I have over 25 years in preclinical and clinical toxicology, pharmacokinetics and microbiology research which is where I got my intense experience doing statistics and using SPSS. Before I started working in the scientific arena, I taught in the Gary Indiana public school system. I currently teach anatomy and physiology/biology/medical sciences. With over 14 years of tutoring experience on an elementary, middle school, high school, and college level, I have successfully helped MANY students excel in multiple advanced disciplines of math and science, writing and reading/english/grammer/vocabulary. As an experienced and published scientific writer, I am qualified to tutor research, technical, medical, narrative or simple writing. Over the years of teaching and tutoring, I have found that all students learn differently such as visually, repetitive hands on, auditory etc. or a combo of the three. Once I determined which type of learner the student is, I am able to increase the quality and quantity of information understood, as well as increase the ease of which the information is learned and retained. As a result, the students academic performance improves along with the students motivation and self-esteem. I have had two years of professional experience as a medical and technical writer and editor. I have published scientific papers. I have had ten years of experience using statistics in a professional environment with a specialty in clinical research. I have had professional experience using SPSS software. Prior to signing up with WyzAnt I tutored for 7 years at the elementary level in math, English reading and science. I also have experience working in the City School of Gary as a substitute teacher on the elementary middle school and high school level. My professional experience includes several years a a medical and technical writer for a well known research company. I have 15 years of experience tutoring disciplines of math and science including pre-algebra, algebra 1 and 2, trigonometry and precalculus, biology, anatomy and physiology, chemistry and physics. I am currently a high school teacher who has worked with all types of learners including children who have special needs. I have successfully tutored Algebra 2 for 15 years. As a high school teacher I am experienced in working with all types of students including special need children. Over 28 years of educational and professional experience. I currently teach high school chemistry and physics. During my first two years at Purdue University I majored in chemical engineering. I completed over 16 hours of specialized physics which included Mechanics in Physics, Electricity in Physics, and Heat and Optics Physics. I am proficient in elementary school math up to college engineering math. My areas of expertise include elementary math, prealgebra, algebra, precalculus, and college-level calculus. All of my students came to me failing, but improved their performance and grades to passing with not less than a B by the time they took their next exam. I currently hold a BS degree from Purdue, during which I took graduate courses that included advanced pathophysiology. I also have over 25 years in preclinical and clinical research. I am currently an experienced anatomy and physiology teacher who has also successfully tutored many students in A and P whom have gone to be accepted into nursing school, many allied health programs and earned their college degrees. I completed a course in Food and Nutrition in order to be accepted into nursing school. I have had over 20 years of experience doing FDA pre-clinical research in the pharmaceutical field. I received formal training in organic chemistry when I received my degree. I currently teach chemistry, which includes organic chemistry. I have tutored the subject for over 14 years on a high school and college level. I am a nursing student who has completed Advanced Pharmacology in order to participate in clinical rotations at the hospital. I have successfully completed and passed several medical surgical clinical rotation at in acute care hospital setting which require me to understand the drugs I distribute, as well as knowing the side effects, drug classes, and contraindications. Plus, I have over 20 years of experience doing FDA pre-clinical research in the pharmaceutical field. I am currently a nursing student. Acceptance into nursing school requires passing anatomy and physiology with "A's" due to the highly competitive admission process. I currently hold a BS degree from Purdue, during which I took graduate courses that included advanced pathophysiology. I also have over 25 years in preclinical and clinical research. I have past experience tutoring the TEAS test. I have taken and passed the TEAS test for entrance into a nursing program. I was admitted based on my TEAS score and my grades. My daughter has had one session so far and felt it to be very helpful, she already seems less stressed about her upcoming test...she felt Tanya was very patient and eager to be of help. I'm so glad we found your service! Tanya is very patient with children and parents. She is extremely, knowledgeable about math. I couldn't have asked for a better person to help my daughter. Tanya is a great help to me in statistics. She is patient and kind. She will stick to the subject till you understand and she will take her time with you. She helped me pass my statistic class. I was able to this point to keep my 96% average. Ms. Tanya helped my son achieve important milestones. She is also assisting him with learning crucial study habits! 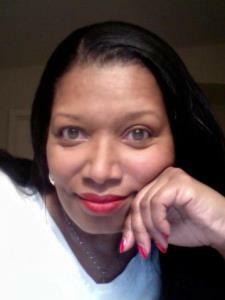 Ms. Tanya is a true professional when it comes to tutoring in the subjects of Algebra & Physics.